We have developed at LIONS a series of modules grouped under the name PySAXS (like Python for SAXS). PySAXS is entirely based on Numpy and SciPy. These modules allow us to perform the different operations necessary to process the SAXS data treatment (setting in absolute scale, deconvolution, background substraction,...). Error uncertainty is taken in acount. pySAXS is OPEN SOURCE and distributed under the CECILL licence (GPL compatible). A graphic user interface (guiSAXS) developped with QT is also available. pySAXS works with plugins systems. Some tools are developped to integrate pyFAI, MCSAS. 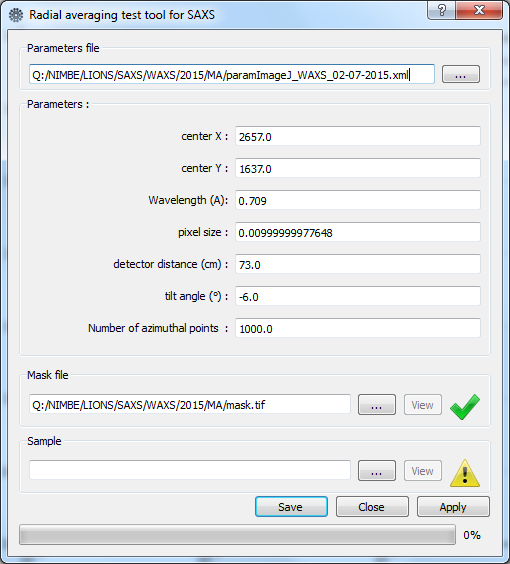 and data files from ou ImageJ plugins with the 3rd columns for uncertaintly. It can simultaneously display and manipulate spectra. It's easy to concatenate data with different abscissas, or perform mathematical operations and scaling. 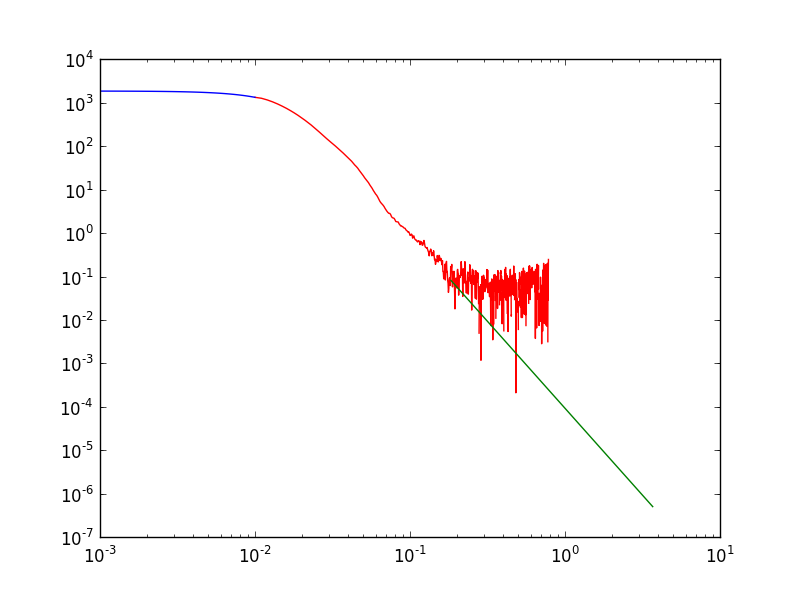 It is also possible to smooth or find peaks on data. An invariant tool is also available. pySAS is always in constant improvement. You can install a fresh copy with "pip install pySAXS"
The reference models (describing different types of molecular organizations like sphere, shell or cylinder particles) are programmed by the researchers themselves. Python language let the user to understand, verify and check the code. Most of amplitude factor, and form factor are in the library and optimized. Models are automatically displayed in the GUI menu. A dialog box is generated that allows overlapping data with the chosen model, to vary the settings and launch a minimization using least-square algorithm. - for calculating X-Ray contrast, or transmission, with data exported from NIST X-Ray Absorption Tables. WARNING : for using pySAXS, you need to install Python, numpy, scipy, QT. It is recommanded to use Winpython package. 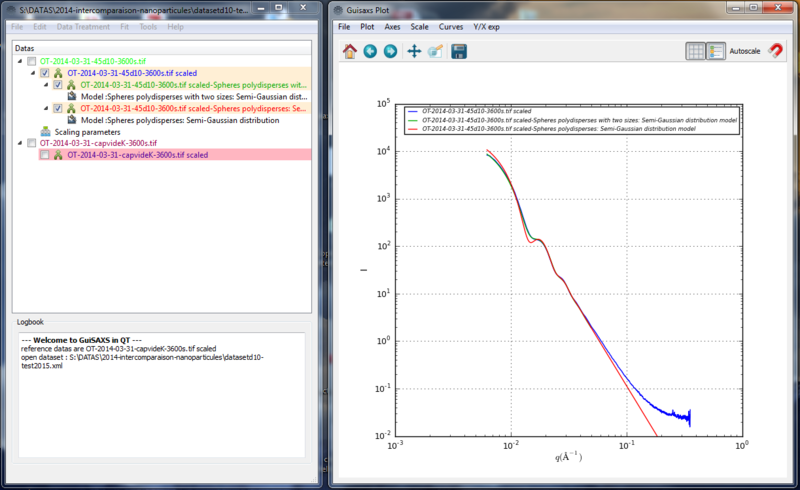 print "particule radius = ",radius, " cm"
we change this tool for absorption calculation by using the xraylib librairies. 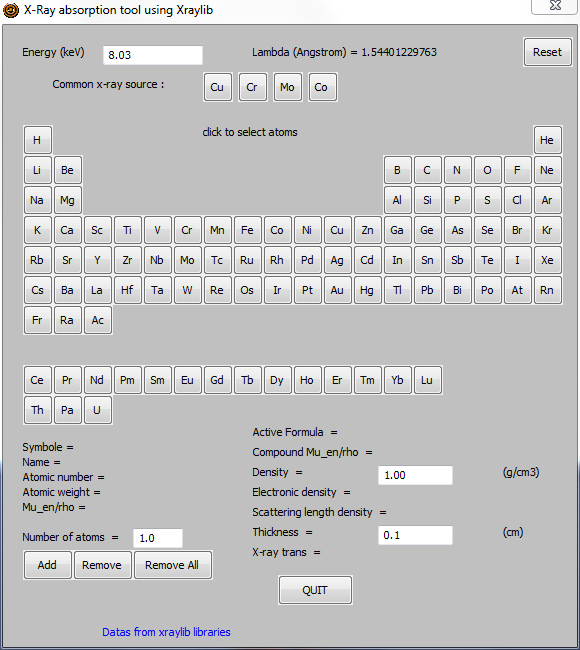 Xraylib is a library for X-ray matter interactions cross sections for X-ray fluorescence applications. Available HERE. Sept 2012 : for this moment work only on windows. How to install : install xraylib with the latest windows installer. 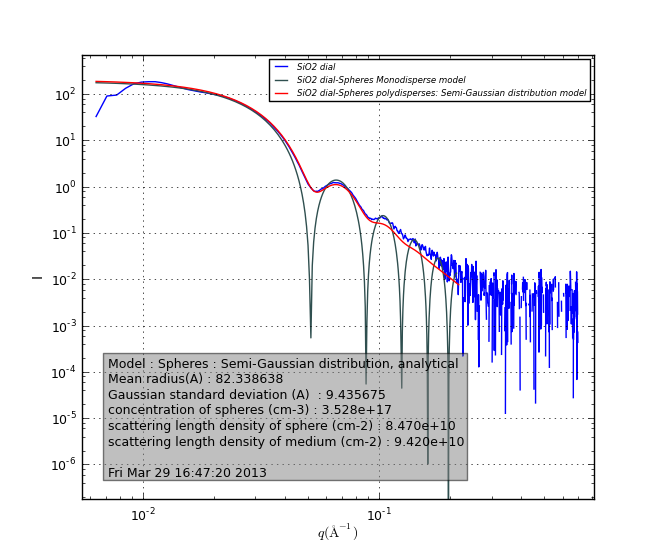 guiSAXS is detecting if xraylib is installed and working, and propose the absorption tool.